An intricate and brutal murder, a haunted detective duo and a lingering, decades-old mystery sets the scene for the new season of the critically acclaimed drama True Detective. 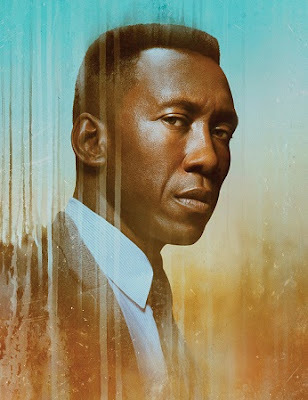 With Oscar and Golden Globe-winner Mahershala Ali in the lead, the HBO drama returns with an eight-episode third season from January 16 at 22h10, exclusively on M-Net channel 101 DStv. This instalment of the gritty crime anthology plays out over three separate time periods: 1980, 1990 and 2015. Ali stars as Detective Wayne Hays who, in the present, is retired and called upon to look back at the disappearance of a young Arkansas boy and his sister in 1980. With his memory failing, the case triggers vivid recollections and enduring questions for the man, who worked the case 35 years ago with his partner Roland West. As their story unfolds over the season, it soon becomes apparent that a seemingly routine investigation turned into a long and troubling journey to dissect and make sense of a cruel and violent crime. Filmed at locations throughout northwest Arkansas, season 3 stars Oscar and Golden Globe winner Mahershala Ali (Moonlight, Green Book) as state police detective Wayne Hays, with Stephen Dorff (Somewhere) as Roland West, Hays’ partner and Carmen Ejogo (Selma) as schoolteacher and writer Amelia Reardon. In a gripping story where time has taken everything but the truth, this season’s disquieting and enduring mystery is only made more compelling by its superb cast. Watch the unravelling of this dark crime anthology every Wednesday, starting January 16 at 22h10. Season 3 will also be available on DStv Now and on the DStv Catch Up platforms. For more information on True Detective and other shows visit mnet.tv. Be part of the conversation follow M-Net on Twitter @MNet (#MNet101 #TrueDetective) or on the official M-Net Facebook page.